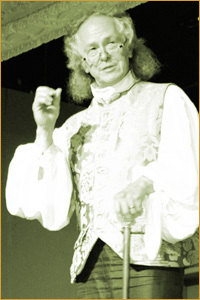 Benjamin Franklin, The Original American brings the world of Dr. Benjamin Franklin to life in an audience participatory in-costume and in-character presentation. Chautauqua (an engaging, interactive performance) connects audience and presenter in a unique experience. Experience History come alive. Audiences become Engaged with - and Entertained by - HISTORY! Bring Ben to your business function, school, or fundraiser.